Clerigo - Holiday Beach Apartments Located in São Martinho do Porto’s centre, Clerigo - Holiday Beach Apartments features an outdoor swimming pool and a fitness centre. These air-conditioned units have balconies, a private bathroom and a kitchen. Local restaurants are available within a 2-minute drive. Casal Novo Set in Portuguese countryside, in the district of São Martinho Do Porto, this family-run guest house welcomes guests seeking tranquility and relaxation. Offering 5 charming and traditionally furnished cottages, Casal Novo impresses with its intimate atmosphere and rural charm. Let the friendly staff arrange rental bikes for you. 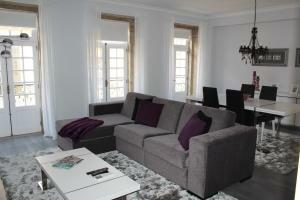 Casa de Campo The Casa de Campo is located in Nazaré, a 15-minute drive from the city centre. Horse riding is available, upon request and at no extra charge. Guests may choose to cook their own meals in the equipped kitchen at their disposal. 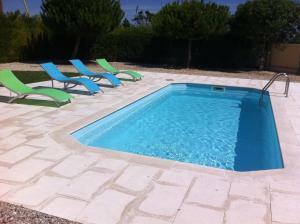 Villa Now Located in Serra de Mangues, Villa Now offers an outdoor pool and a barbecue area. This self-catering accommodation features free WiFi. Restaurants and bars are within a 2-minute walk and the property offers free parking. Albergaria Stº Antonio Da Baia price per day from € 23 The Hotel is located in the town of São Martinho do Porto, just 600 metres from the beach, and the seashell-shaped São Martinho Bay. 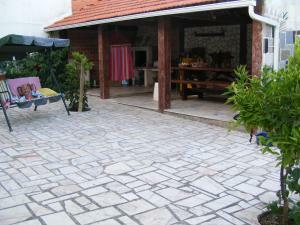 There is a large on-site restaurant that serves traditional Portuguese dishes and seafood. Granada Holidays Featuring an outdoor swimming pool and sun terrace, Granada Holidays offers rooms on the beachfront of Sao Martinho Do Porto. Each room is equipped with a TV and a private bathroom with a shower and bidet. Church Nossa Senhora da Nazare, Nazare, 11.1 km from the centre of town of Sao Martinho Do Porto. 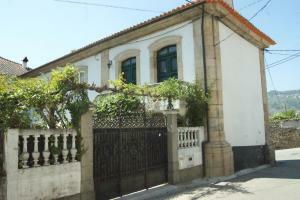 Vila Natal, Obidos, 15.1 km from the centre of town of Sao Martinho Do Porto. Grande Mercado Medieval de Obidos, 16.9 km from the centre of town of Sao Martinho Do Porto. Church Sao Pedro, Obidos, 17.1 km from the centre of town of Sao Martinho Do Porto. Museum Obidos, 17.1 km from the centre of town of Sao Martinho Do Porto. Santa Maria Church, Obidos, 17.6 km from the centre of town of Sao Martinho Do Porto. 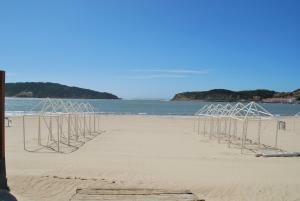 Golf club Praia D'El Rey, 19.4 km from the centre of town of Sao Martinho Do Porto.